Below are our products that are currently for sale. 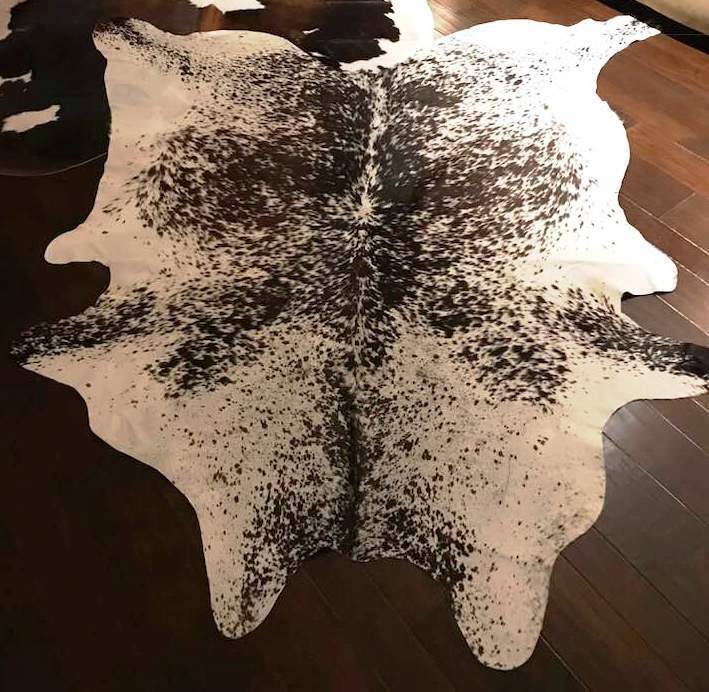 Brazilian cowhides. Salt and Pepper Mix: 7'-8" wide by 7'-9" long. Please feel free to call for pricing. SBID has recently opened a new wholesale account with Saddlemans for very fine quality, soft and supple Brazilian cowhides, finished to a beautiful sheen. Cowhides offer a lot of style for many kinds of interiors, from rustic to modern. They are also durable, easy to care for, and affordable. We currently have five on hand, all generous in size, with one considered extra, extra large. Local delivery and spread are available at no additional charge if you are in the northern NJ area: Other style can be ordered on request. 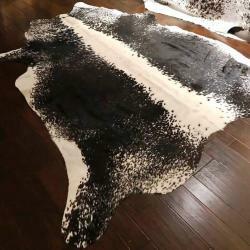 Brazilian cowhide Black/Brown/White: 7'-2" wide by 7'-9" long. Please feel free to call for pricing. Brazilian cowhide Black and White Special-Extra Large 8'-3" wide x 8'-3" long Please feel free to call for pricing. We currently have five on hand, all generous in size, with one considered extra, extra large. Local delivery and spread are available at no additional charge if you are in the northern NJ area: Other styles can be ordered on request. Brazilian cowhide Brindle: 7'-1" wide by 8'-1" long Please feel free to call for pricing. can be achieved. More detailed photos are available. on the Photos & Renderings page. 19th Century ornamental iron work in two pieces measuring approximately 10'-6" total length. Salvaged from a well-known landmark building in New York City. The original patina has been professionally lacquered, with gold highlights added. Original mounting screws are included. These pieces are shown used as a headboard, but can be arranged in a variety of configurations. Please call for pricing and more info. This was originally a beeswax candelabra, French, circa 1890, later electrified. 64” high to shade rest.